Shimmering leather and synthetic upper. Pull-on construction with elastic ankle strap. Gold-tone hardware strap across the vamp. 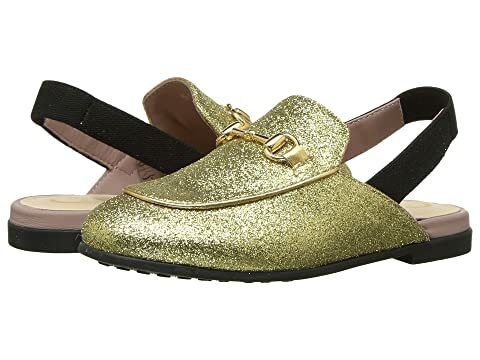 We can't currently find any similar items for the Princetown Metallic Slipper (Toddler) by Gucci Kids. Sorry!